Recently we can hear and read about essential oils a lot. 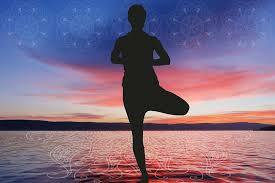 We can have candles with essential oils, perfumes, massage oils and skincare products. But what are essential oils and why are they getting so popular? Is it a short-time fad or will they stay on our bathroom shelves for longer? Essential oils are called “hormone” or “life-blood” of plants. Some of them are easy to identify, i.e those from orange peel. 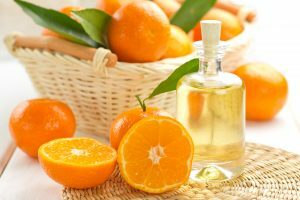 It is enough to squeeze the orange peel to squirt out the aroma. Others are very difficult or expensive to produce, i.e. rose. It takes one tonne of rose petals to produce 300g of rose oil. All nations have their herbal traditions. 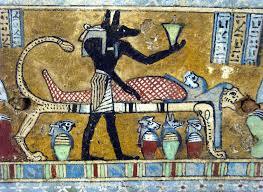 First written mention of preparation and use of oils or balsams come from Egyptian civilization. Papyrus manuscripts dating back to the reign of Khufu, around 2800 BC, record the use of many medicinal herbs. Aromatherapy was born in 1928 when French chemist Gettefosse discovered by accident that lavender was able to rapidly heal a severe burn on his hand and help prevent scarring. He also discovered that many of the essential oils were more active in their totality than their synthetic substitutes. The word aromatherapy can be misleading, because it suggests that it is a form of healing through our sense of smell, and not on the emotions. Each essential oil has an individual combination of constituents which interacts with the body’s chemistry in a direct manner, which then in turn affects certain organs or systems as a whole. For example, when the oils are used externally for a massage, they are easily absorbed via the skin and transported throughout the body. Garlic would be the famous example. If you rub a clove of garlic into the soles of your feet, the volatile oil content will be taken into the blood and the odour will appear on your breath a little while later. 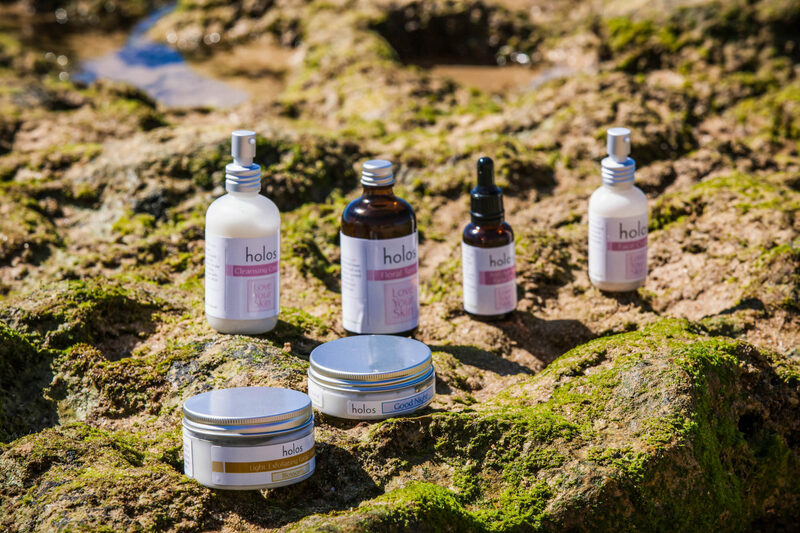 Love Your Skin range by Holos contains expensive to produce essential oils like Rose, Palmarosa, Frankinsense and Benzoin. What can you expect from using Love Your Skin range? 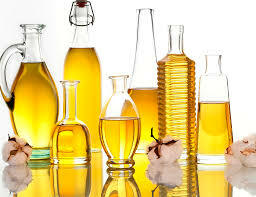 Oils are combined to create synergy; the whole is greater than the sum of single oils. Using Love Your Skin products you can expect smoothing fine lines, glowing, hydrated skin, and reduction in skin inflammation and broken capillaries, reduction of blemishes. If you have a little wound or cut those essential oils will prevent scarring. With oily skin expect regulation of sebum production. All information come from a book “The Encyclopaedia of essential Oils” by Julia Lawless 1992.